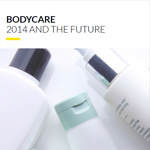 This global annual market overview will provide you with an in-depth review of the key issues in the global bodycare market through 2014 as well as our forecast for what will happen in 2015 and beyond. The US retains the leadership in sales of bodycare, 2.6 times that of Germany or Brazil. As well as being the third largest global bodycare market, Brazil also lies in sixth place in terms of growth over the last five years. Within the body, hand and footcare market, body products are the fastest growing. China occupied the fourth position and is the third fastest growing market. Yet per capita spend on bodycare amounts to under $1 per head, signifying opportunity for even greater penetration. France rounds out the top five largest markets. Asia dominates the growth in the category with Indonesia taking the number one position followed closely by India. India also generated significant growth in the category with market value rising in 2014. Looking to the future, it will be important for skincare brands to include maximum sun protection throughout the skincare line. Additionally, more effective sunscreen alternatives will need to be developed. By contrast, in regions experiencing harsher, drier conditions, consumers will look for products with longer-lasting moisturising effects.